The week ahead will be a busy one, even with my precious Italian-style coffee breaks I will be up against a mountainous workload and so there has to be a big emphasis on schedules and timescales in order for me to keep my sanity as well as getting the job done. 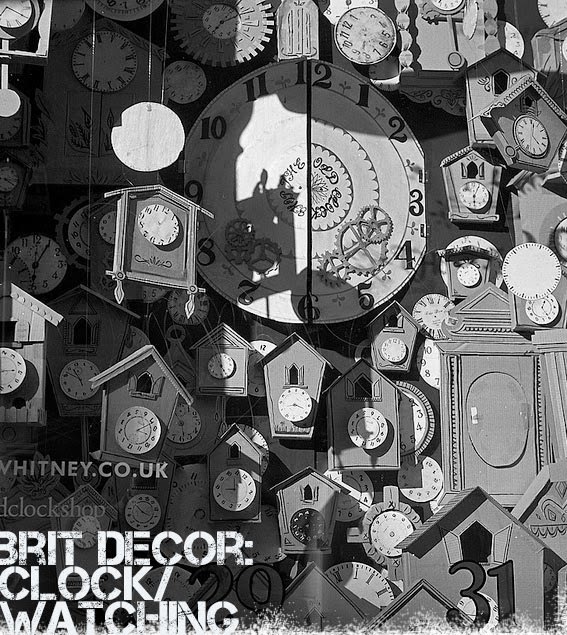 However, whilst planning for this hectic period I realised just how little I rely on wall clocks these days - not only has my trusted iPhone become my primary source of communication, Music and photos, it is also my clock of choice. Perhaps I will make a concerted effort to look up at a clock rather than down at my phone from now on? 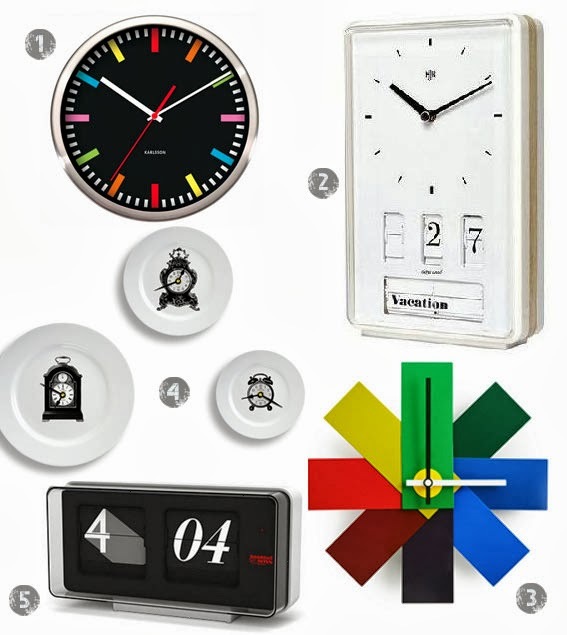 So here we have it, Brit Decor's favourite selection of clocks - I really like the sleek font clock below by Established & Son's as well as the characterful clock plates from Rockett St George!